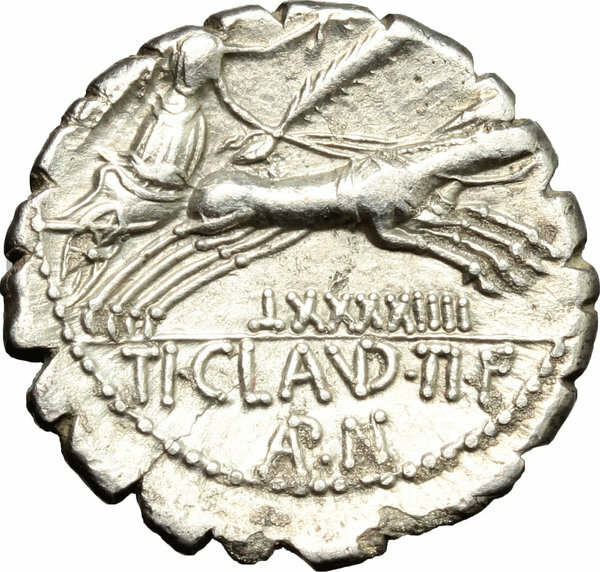 Coins 261 Ti. Claudius Ti. f. Ap. n. Nero. 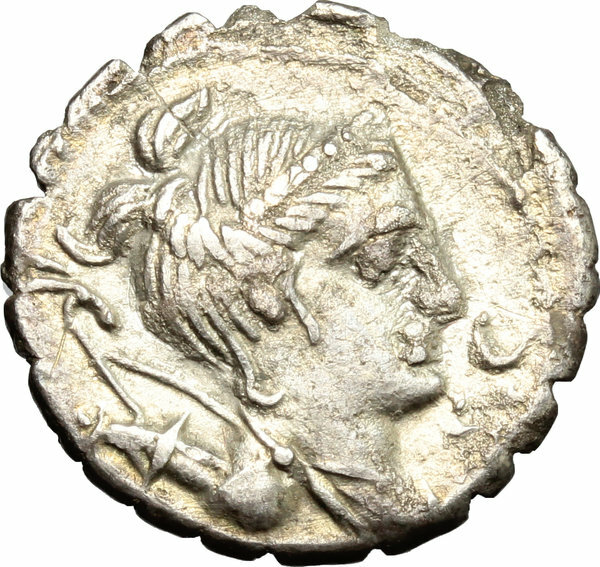 AR Denarius serratus, 79 BC. D/ Head of Diana right; over shoulder bow and quiver; before, crescent. R/ Victoria in biga right; holding palm, reins and wreath; below, control mark. Cr. 383/1. AR. g. 3.17 mm. 18.00 VF.